Whether you are planning a family RV vacation to Tampa Bay or have Tampa on your Florida itinerary and plan to fly in to take in the sights, there is high adventure waiting for you in this exciting city. Sometimes even Tampa residents get so involved in their workaday world, they forget there are so many things for the whole family to do right at home. Of course, you can&apos;t neglect the most important attractions in town. The first family adventure should be the famous Busch Gardens. This theme park has rides, shows and plenty of animal exhibits. Take the sky lift ride and get a unique view of the wildlife. Another must-see is Serengeti Safari at Busch Gardens, an unforgettable trip of over 65 acres of African Plain where you&apos;ll enjoy getting up close and personal with zebras, ostriches and much more. When you love animals and sea life, Tampa Bay is the place to come. The Florida Aquarium offers an educational and interactive experience with touch tanks that allow kids to get "hands-on" with fascinating creatures. They also provide a Wild Dolphin Cruise so you can see some amazing dolphins in their natural habitat – Tampa Bay. Something tells me it&apos;s all happening at the zoo, and Tampa&apos;s Lowry Park Zoo is no exception. Visit this highly rated zoo! The animals will love it if you do. The Big Cat Rescue is worth a visit, too. This is a large sanctuary dedicated to big cats, with over 100 lions, cougars and more. Be sure to take the family to see the Tampa Electric Manatee Viewing Center just south of Tampa. If visiting from November through April, you&apos;ll see manatees, an endangered species that finds love and attention here. Other times of the year, you can play games, see the butterfly gardens and experience a hurricane simulator. Best of all is the free admission. Adventure Island has 30 acres of water rides, and if you desire a day of swimming in a giant wave pool, playing in waterfalls or rushing down a corkscrew slide, you&apos;ll love it here. The Florida sun isn&apos;t quite as ferocious when you visit this theme park. The historic neighborhood of Ybor City is a wonderful place to soak up some interesting history. One of the best ways to absorb that history is to engage in the Secret City Walks, where you stick those headphones on your head and get a self-guided audio tour. 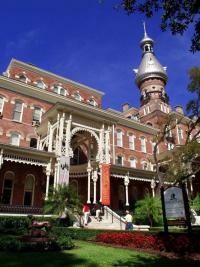 This experience really brings the ghosts of Ybor City to life for the whole family. No matter if you have an RV camper or car, you will find it extremely rewarding to drive over the Sunshine Skyway Bridge, keeping an eye out for the dolphins that often appear in the water below. Great views are yours to behold from this marvelous bridge. You can also fit in some fishing from the nearby pier. Make it a point to stop at Bayshore Boulevard, a sidewalk that has the claim to fame of being the longest sidewalk in the world. Winding along the bay, you will truly enjoy the 4.5-mile stroll. Love to visit parks and take part in many different outdoor activities? Lettuce Lake Park offers canoe rentals, fishing, hiking and a lovely path to take a bicycle. Another popular park to take a nice little trek through the woods is Al Lopez Park, 132 acres of great wildlife and a pond where you can throw in a line. Speaking of canoeing, the perfect place to get away from the crowds is Hillsborough River State Park. Once you move away from the main picnic area, you will get some solitude and relaxation in the fragrant woods. This state park has an RV campground as well as tent camping. Hiking is great here too. Of course, if you prefer the beach you can take the Courtney Campbell Causeway over to Clearwater, and make your way right to Clearwater Beach. Walk out on the pier and enjoy the fresh salt air. The sand is clean and white. 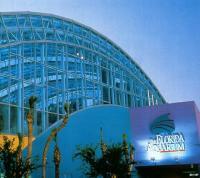 Once back in Tampa, you may wish to see some of the museums in the city. There are many, but you can get a unique view of some of Tampa history at the Henry B. Plant Museum, once an opulent hotel where Teddy Roosevelt and Babe Ruth stayed. Another site you shouldn&apos;t miss if the Museum of Science and Industry, with over 450 hands-on activities that the kids will love. Yes, Tampa offers much adventure for any family, whether exploring on an RV vacation or touring by car. Joe Laing is the Marketing Director for El Monte RV Rentals. You can see more great RV vacation ideas in their Monty&apos;s Musings RV Travel Blog. Be sure to check their Florida Rentals page for a luxury motorhome for a Florida vacation adventure.